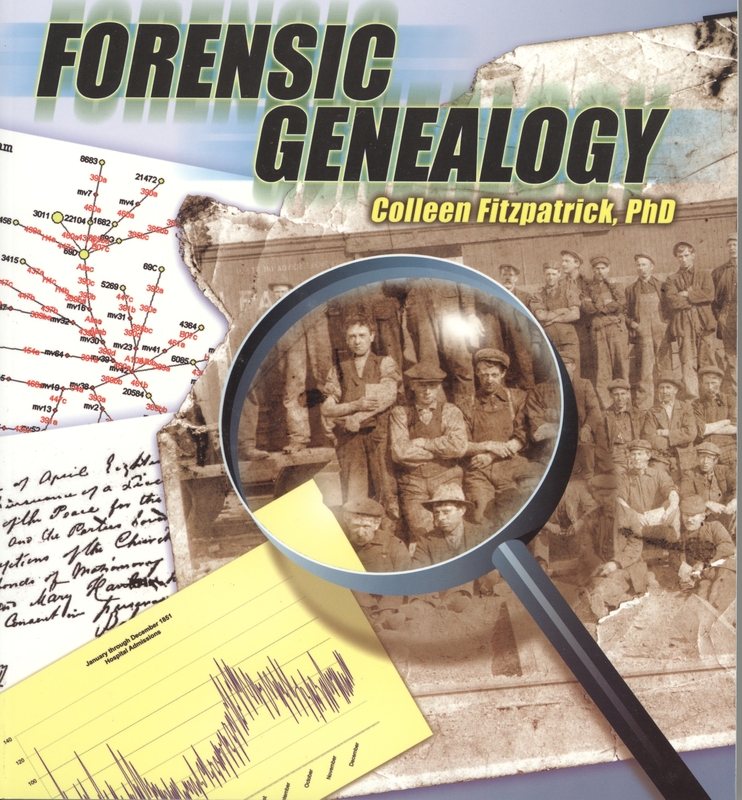 The following books are authored by expert genealogists and are an excellent addition to any genealogical library. Please note that all prices are subject to change without notice. Payment information and order form can be found at SGS Marketplace. • The basics for those who are new to DNA testing. 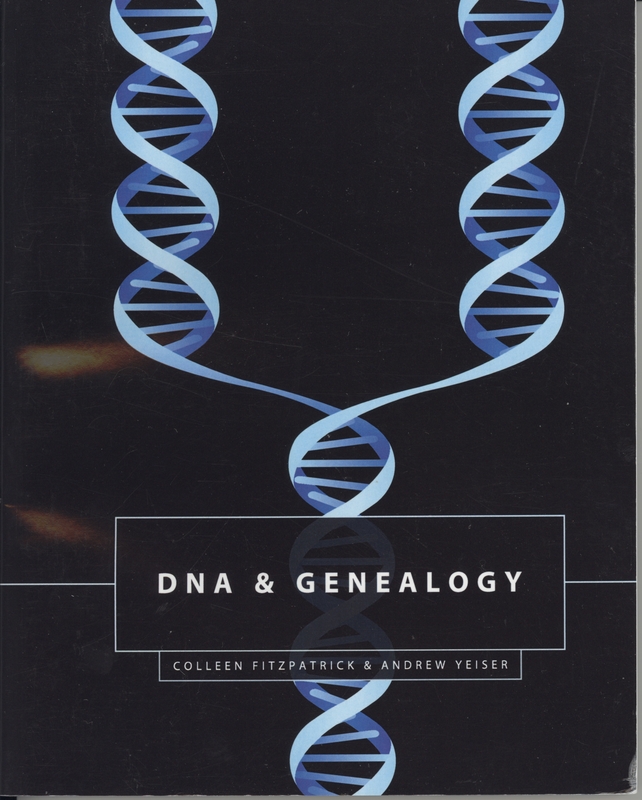 • Important insights for more experienced genetic genealogists. • Fascinating anecdotes for everyone. Achieve a better understanding of the character and progress of the frontier of settlement in western Canada, the records of the old federal Department of the Interior (1873-1936) are of fundamental importance. They have been difficult to find since their despersal wehn the three prairie provinces were at last put on the same footing as the other provinces in relation to their nature-given resources, and when in 1936, the Department was abolished. Evidence! Provides a common ground upon which all can meet, speak the same language, and share their results—reliably. 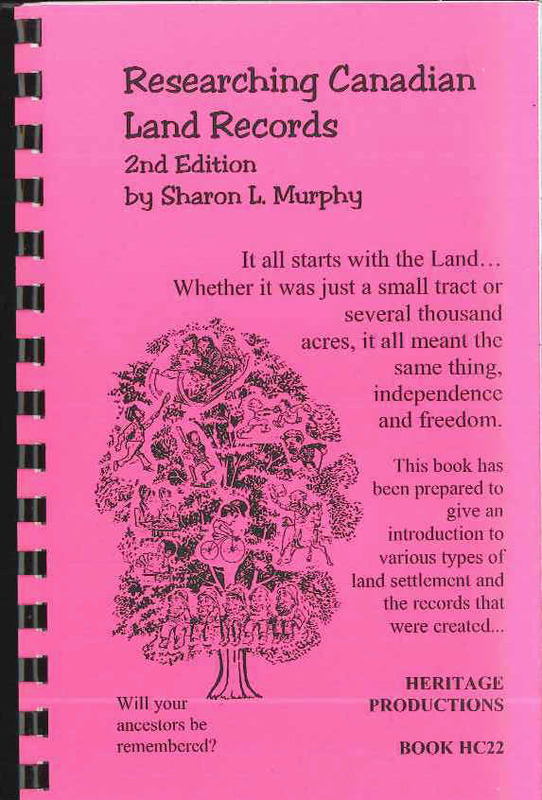 This new edition includes: An expanded summary of land descriptions as determined by the Dominion Land Survey / Maps showing townships, communities and census districts on the three Prairie provinces / An index of townships on the Prairies, providing a quick reference to the proper enumeration areas in the 1901 census, and the corresponding microfilm numbers. 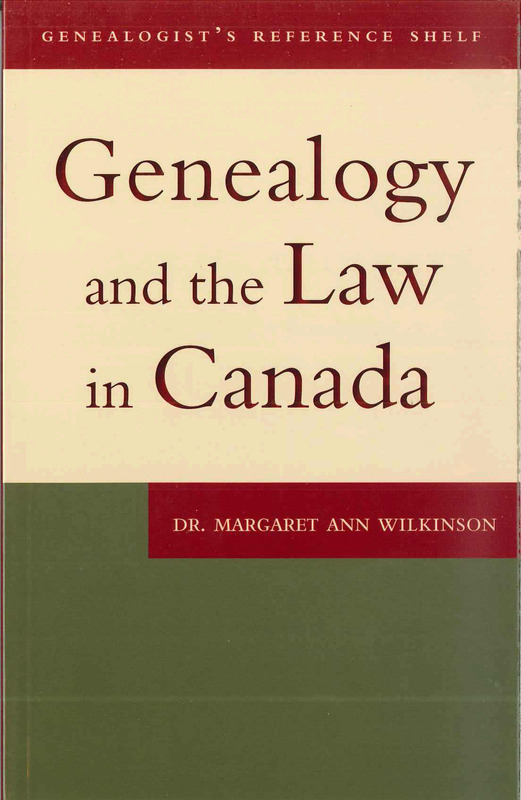 This is the third edition of a popular and helpful guide to a key family history resource in Western Canada – the community directory. These directories can be used in many ways. They can add information not found in census records or civil registration documents. They can help track families between censuses. It is also possible to use directories as a substitute for census indexes, as well as for censuses that have not been released. 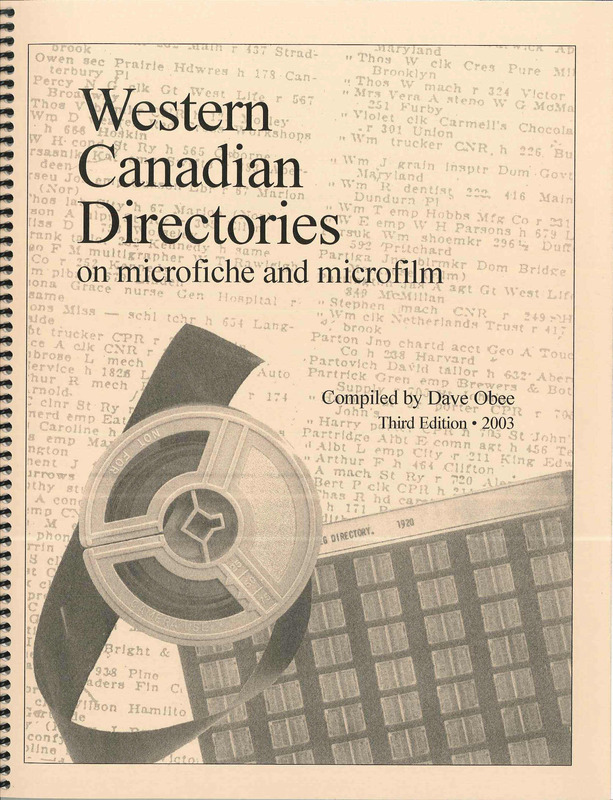 This finding id is the first published guide to federal lists in Ontarion – a collection of almost 300 rolls of microfilm available through the National Archives of Canada. 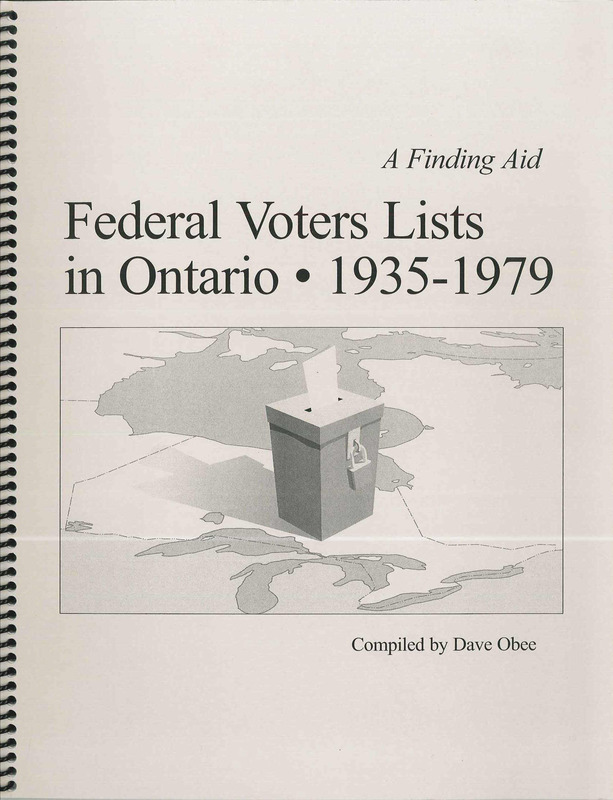 It lists the federal electoral districts for each election, and provides the numbers of the microfilm reels and the page numbers for those districts. Revised millennial edition of a favourite money saver! 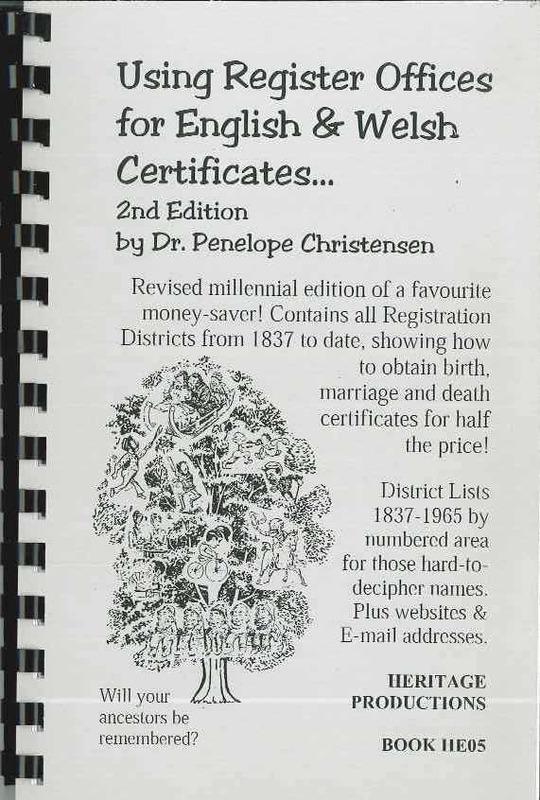 Contains all Registration Districts from 1837 to date, showing how to obtain birth, marriage and death certificates for half the price! District Lists 1837-1965 by numbered area for those hand-to-decipher names. Plus websites & E-mail addresses. 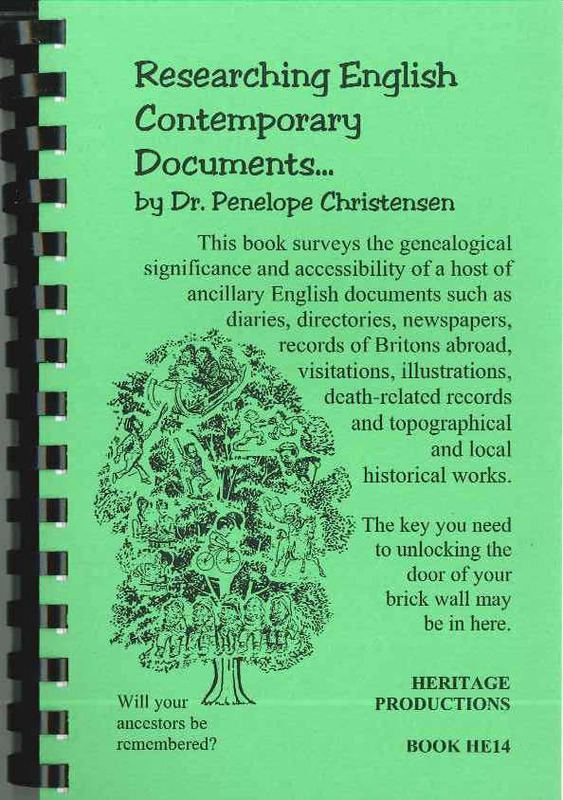 This book surveys the genealogical significance and accessibility of a host of ancillary English documents such as diaries, directories, newspaper, records of Britons abroad, visitations, illustrations, death-related records and topographical and local historical works. The key you need to unlocking the door of your brick wall may be in here. Monumental inscriptions, known in Ireland as ‘memorials of the dead’, can sometimes connect the major life events of birth and death. They often precede or out-survive other sources. This book includes information on the genealogical value of monumental inscriptions, their content, the time periods of their existence, and the availability and access to these records.